This post is the eleventh in a series introducing the 12 teams participating in the 2018 Wood Stove Design Challenge in November. Cygnoides Smart Energy Tech Co.
project in Guizhou mountain area. In the US, the 60 million rural residents own about 5 – 7 million old, uncertified stoves. 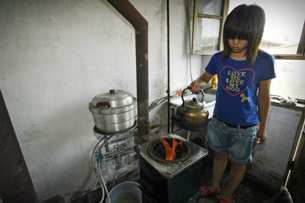 In China, there are nearly 600 million rural residents and up to 100 million old, polluting stoves. The market for cleaner wood stove is huge. When Min Chen returned to China after getting his doctorate in engineering in Denmark in 2013, he dedicated himself to making a wood heating stove that rural Chinese would buy. To do this, he knew he had to keep the price around a few hundred dollars and it had to make enough electricity to light up a small home and provide hot water. Without providing electricity, a cleaner stove in and of itself was not going to sell. Scores of “improved” stove models have been tried in China, but the problem is so vast that its hard to know if they even made a dent. Min also has to face major changes in national energy policy that can open up, or close down markets for tens of millions of stoves. China set a goal of banning coal heat by winter of 2017 in a bid to switch hundreds of towns and cities to gas. The ban had to be rescinded to avert a heating crisis but it spurred innovation in biomass stoves. Biomass was seen as much better than coal, and there still appears to be significant policy support for biomass, but gas and electricity are ultimately seen as the solution. 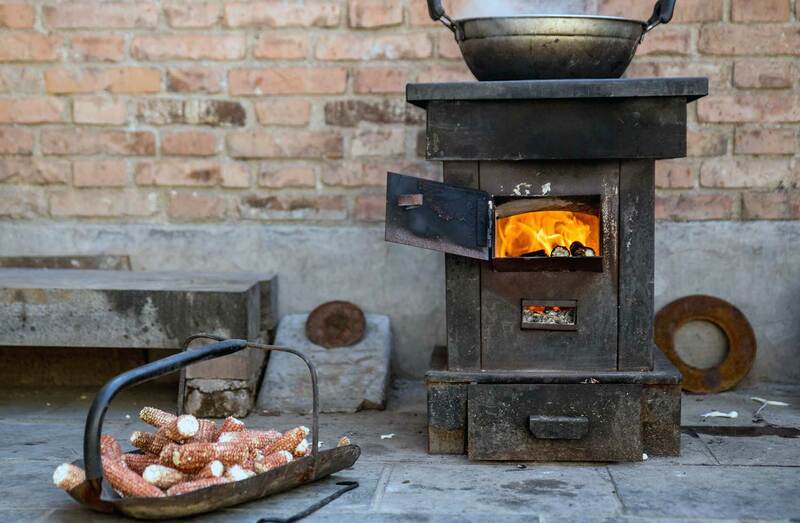 A World Bank study found in China that replacing current wood stoves for heating with pellet stoves and replacing chunk coal fuel with coal briquettes could provide significant climate benefits. Nearly 100% of Chinese homes have electricity, but the problem Min says is that is that “there is still no reliable electricity” in millions of homes. Electricity is often spotty, thus Min understands that an inexpensive stove that provides indoor lighting will have a huge market. Min says that he “made a lot of generator toys and stove simulators when he was in the academy, but wanted to make this toy practical and really usable”. Min and his four other team members found investors and have designed their model that will consistently create heat, hot water for drinking, and electricity. Stove making in China is complicated by the fact that Chinese use a wide variety of feedstocks. In fact, it is illegal to harvest firewood in most stoves use branches and agricultural residue like corn cobs – and lots of coal. Min’s stove is designed to used pelletized fuel or briquettes made of sawdust. China has a large amount of agricultural and forestry residues that can be used as energy, and biomass densified solid fuel (BSDF) is an important pathway to use them as energy, especially for heating. Rebao uses an innovative converter as a voltage regulator to convert the stove’s input energy to output energy, and can be manually or automatically run. However, the stove runs on its own with full automatic operation, and can produce up to 100w of electricity with a few kw of heat, which Min says is enough heat to keep a small home comfortably heated and meet part of the electric load in the winter. Since he is trying to develop a product that will help people in their everyday lives, Min says “price is the most important part of the product”. He does not see why he should work so hard on developing a technology for people if they would even be able comfortably afford it. The stove has been sold in small quantities and currently costs around a few hundred dollars US dollars. Min reports that all units have worked well and continues to be optimistic about the future of the stove’s price and market success. are basic with little secondary PM reduction technology. The development of ReBao is ongoing, and Min says that he would like to try to make the stove even more user friendly by developing smart functions on the stove that are wifi enabled. 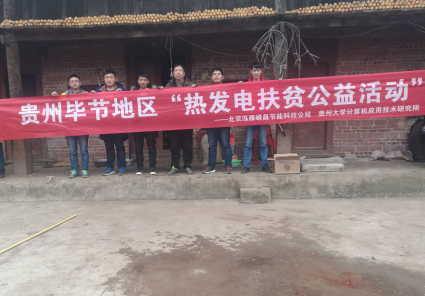 Heating stoves have to be emission certified in China by the national agricultural energy association but they can be continually improved without having to go back to the test lab for expensive certification tests. A stove with a cost of a few hundred $ that also heats water and makes electricity will probably not be the cleanest stove at the competition. But the competition seeks to include innovative heatings stoves that are fully or partially automated for markets that are much larger than the North American market.